Sign maker by day, indie dev by night. 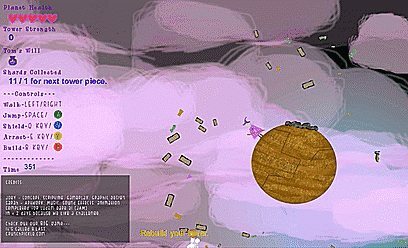 I’ve started a small but active indie games community on voat. Feel free to cross promote your games. We love free games. I played a ton of your games. Almost 150, and everyone did an amazing job. I have my favorites, but everyone deserves some measure of recognition and solid respect for their talent and work. I am proud to have competed for the first time and to have completed my first finished game. I am thankful this exists as a creative outlet for so many talented folks. Where else can a country boy from Kentucky make games along side people from Germany, India, the Netherlands, South Africa, Mexico and everywhere else around the world, joining a truly equal global community to compete with an enormous pool of talent? Feel free to do some shameless self promotion in the comments, and If I haven’t played your game yet, post it and I’ll try to. I’m glad that LD exists and I’m glad that I joined in. Peace everyone and have a Merry Christmas, Happy Holidays, (whatever your belief structure) Excellent Festivus and a great New Year. Keep being AWESOME. 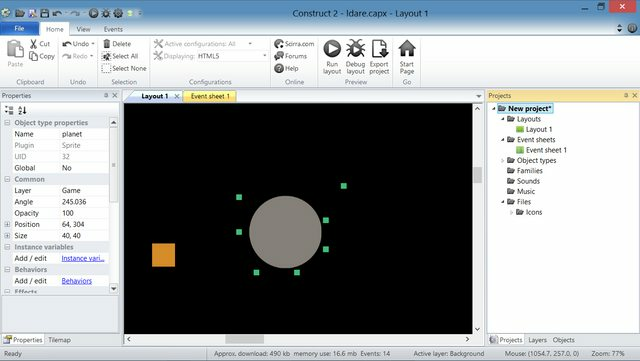 Any fellow construct 2 devs? I’d love to play & rate some of your games, so post a link in the comments. An expanded realm with some measure of procedural generation. As the specifics get hammered out, I’ll post updates. Meanwhile, we appreciate every comment & vote. Feedback helps us make a better game. 10. Santa. Lots of games. Nearly everywhere you look he appears in some form. Maybe he really can see me when I’m sleeping. Creepy. Because a tech support llama with a man’s face isn’t manly without deep 5 ‘o clock shadow. He may have a jetpack,. but he’s still a dwarf. Complete with the droopy mustache & beard combo. You know you have a powerful beard when you’re just chillin’ and drinkin’ with that guy. Everything about Jerry scream manly. I gather he gets his power from the ‘stache. Sir Andrew may have a PH.D in Hammerweilding, but his true field of study must be facial hair. Impressive mustache on this one and he needs it. He literally has no other defining facial features. Not even a mouth. When the whole world hates you, at least you can sleep well knowing you have an impressive and well groomed beard. That finely tuned face accessory gives him the power to cut down 100 men. When you have facial hair that magnificent, you don’t even need a name. Who did you expect to be number one? I mean, it a walking beard. He’s a wizard, of course he has an impressive beard. Tried making some of them movin pictures. 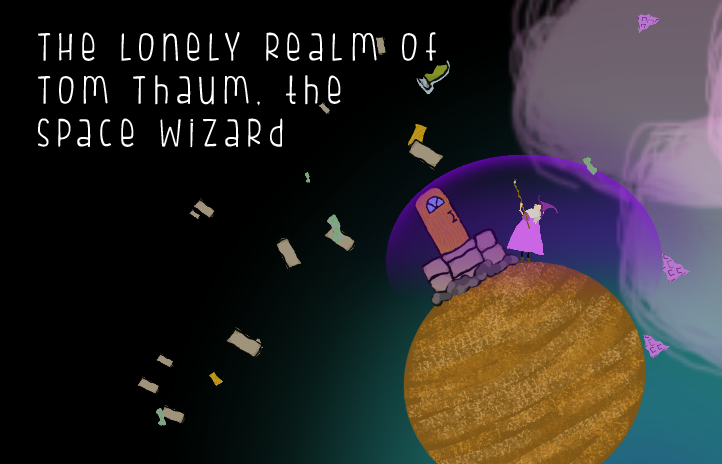 What is Lonely Realm of the Space Wizard all about? Here’s a tutorial video explaining the theme, goal & controls. I haven’t made anyone’s favorites lists. AROOOOOOOOOOOOOOO! Here’s my favorite game so far. MINE. AROOOOOOOOOOO! Liam Twose with 844. I made the game and best I can do so far is… um… not as good. Oh well, I guess every dev gets passed by players at some point. For your approval, a duo dev’d game for the jam. A day early. I have something important to write. That’s what I told myself as I got out of the shower 20 minutes ago. I dried off and put on my Minecraft Creeper t-shirt that Sarah got me for Christmas 3 years ago. It’s pretty faded now, hint hint, Sarah. Might be time for an upgrade. The whole time I was in there, I was contemplating what we’d just done. Sarah and I. Friday, I get an email from another game dev. (talented guy, BTW. played his game. It was coool.) He messaged to remind me of Ludum Dare this weekend, and asked me if I was going to attend our local gamedev group(gamedevlou, louisville,ky) event. I haven’t been feeling well lately, and hadn’t decided. Compos are physically draining. You have to expend a great deal of energy and effort to compete, to finish what you start. I just didn’t know if I was up to it. I casually texted Sarah(gamer GFs are the best BTW) and asked if she was interested in Ludum Dare,(had to explain what it was) asked if she would help me make a game this weekend. She said yes because she is awesome, and so when I got home from work, we began. We finished a game. Our first. Individually, my first, and her first completed project. I had an idea, and we started building it. After a blurred weekend of hard work and some bags under our eyes, we made a game. I’m thankful that competitions like Ludum Dare exist. It represents a level playing ground where all are equal and only separated by their techniques. Thank you Sarah for your help, brilliance & support. I can count very few people that understand & support me. You do both, and love me, still. I can’t be grateful enough. We present to you, our first game & hope you enjoy it. Includes game executable in WINDOWS, OSX, LINUX formats, html5 web version, artwork, music, and source files(capx). Press keyboard – p or gamepad – start to pause & view controls. Here’s what we have so far. It’s called Lonely Realm of the Space Wizard. You’re a wizard who lives alone on a planetoid. Your tower had been destroyed by meteors and you must collect the shards & rebuild it to regain your power before your entire planetoid is destroyed. Joey – Working on the mechanics, some graphics, HUD & gameplay. Sarah – Graphics, animation & audio. Not much to show yet. Dev work in Construct 2. 22 queries executed in 0.107 seconds.